Graveside service for Jon Carl Lyons, 50, of Cache, Oklahoma will be at 9:30 a.m. on Tuesday, March 26, 2019 at Cache Cemetery, Cache, Oklahoma with Chaplain Daniel Edwards officiating. Jon passed away peacefully at home on Thursday, March 21, 2019 in Cache, Oklahoma after a tough fight with ALS. Jon faced this challenge the way he faced every challenge in life, with quiet strength and dignity. Jon was born on January 6, 1969 in Des Moines, Iowa to Carl and Linda (Lane) Lyons. 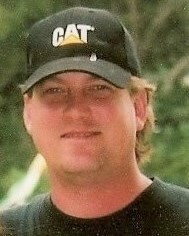 He grew up as a true country boy in Iowa where he graduated from Van Meter High School in 1987. Right after high school, Jon joined the United States Army and served in Operation Desert Storm during 1990-91. He received many awards and medals including the Army Service Ribbon, Army Commendation Medal, Army Achievement Medal, Overseas Service Ribbon, Army Good Conduct Medal, National Defense Service Medal, Rifle/M-16 Sharp Shooter Award, Expert Grenade Badge, Southwest Asia Service Medal with three Bronze Service Stars, and Kuwait Liberation Medal. After the military, Jon then attended school at OSU/Okmulgee, earning his Associate's Degree and graduating with Provost's Honors. Starting in 1992 he worked for Warren Caterpillar Heavy Equipment for 25 years, starting as a heavy equipment mechanic and advancing to Senior Technical Adviser until he retired due to his health. He married Jackie Cartwright and they had a son, Jacob "Jake" who was Jon's pride and joy. He cherished his time with Jake, helping to coach his baseball team throughout his school years. Jon and Jackie lived in Bethany before coming to Cache, Oklahoma in December of 2017. Jon was an avid outdoorsman, and the best times of his life were spent with his good friends celebrating life. He was a Nascar fan who loved building hotrods and challenging anyone's politics. He will be missed by all who knew him. He is survived by his loving wife, Jackie Cartwright Lyons, of the home; his beloved son, Jacob Lyons and fiance Lauren, of Bethany, OK; his father and step mother, Carl and Shirley Lyons, of Iowa; his step father, Jim Arrasmith, of Iowa; sister, Jodi Lyons, of Arizona; step brothers and spouses, Derek and Amy Perkey, Steve and Barbara Arrasmith, and Jack and Bridget Arrasmith, all of Iowa; step sister, Janel Nielson and husband, Paul, of Nebraska; his father in law, Keith Cartwright and wife, Judy, of Terral, OK; brother in law, Darrin Cartwright, of Oklahoma City, OK; numerous nieces and nephews, his caregiver and friend, Tommie Hammond; and his extended family including Wayne and Melissa Harrill, Troy and Jodie Franzen, and Tammy Kuchynka who were all there for Jon anytime they were wanted and needed. He will be greatly missed by his dogs, Jessie and Jimmy. He is preceded in death by his mother, Linda Arrasmith; his mother in law, Pat Cartwright; his grandparents; and his best friend, Bill Amaral. Memorial contributions may be made to the ALS Association, P.O. Box 37022, Boone, IA 50037 or to the Paralyzed Veterans of America, P.O. Box 758532, Topeka, KS 66675.